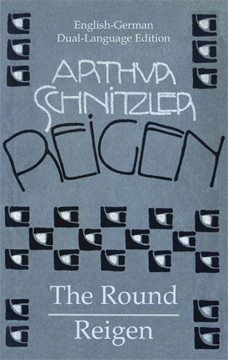 Arthur Schnitzler wrote Reigen in 1897. It was published in Vienna in 1903, but it was banned by censors a year later. But within a few decades, the play was recognized as a classic. Sixteen films have been based on this play, beginning with La Ronde by Max Ophuls (1950) and La Ronde by Roger Vadim (1964). This is the first dual-language edition of Reigen. It is ideal for people who are learning German and for people who want to read the play in the original but who do not know quite enough German to read it without the help of the facing English translation. Now, you can read the actual words of the greatest modern Austrian writer.